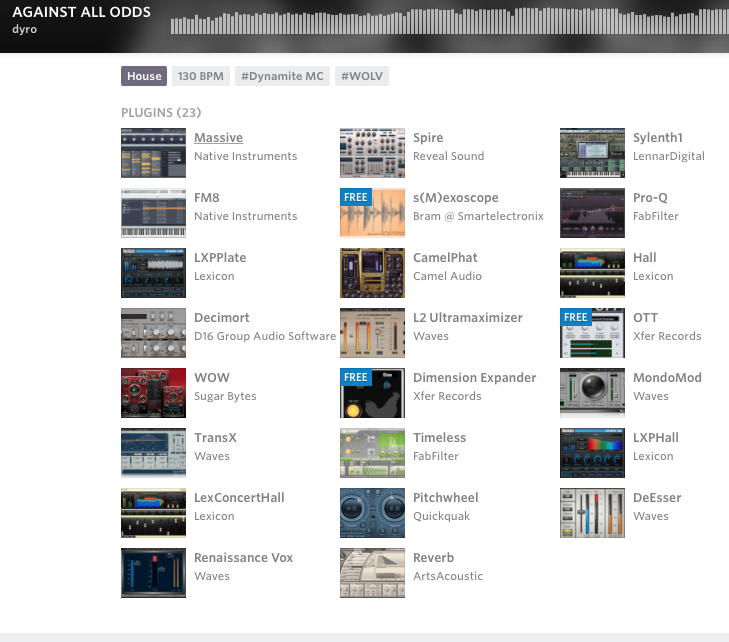 In [this](https://splice.com/dyro/against-all-odds) Splice project, by Dyro, Xfer Records Dimension Expander is listed among the plugins used. In this video at 5.38 he is using dimension expander. At 18:00 Herobust says "I actually use Dimension Expander by Xfer Records to make my songs wider." In this tweet, DidJaws say who have Xger Dimension Expander plugin. Steve Dude developed this very handy tool by special demand. This fx plugin works just like the dimension expander effect from Native Instruments Massive. Which in essence is two very short delays with different different delay times which are modulated very fast. This creates a sense of space in your audio material. I would like to compare it with the early reflections of a reverb without the reverb tail. It widens your sound without cluttering your mix with reverb. One thing you should be aware of when using this effect is that it's not mono compatible. Meaning the effect will totally disappear when the stereo signal is summed to mono. Other than that this can be very useful to add a short sense of space or dimension to your sounds. Xfer Records has this cool little tool as a free download on their website. And it's available as 64bit too! Definitely check it out! I very rarely find myself reaching for this plugin, as I have others that can do the same/more. I like to keep it in case someone I'm working with uses it, but it's not a staple.